Owner Chef Atsushi is originally from the Tochigi prefecture near Tokyo in Japan. He started his career in 1987 and moved to Sydney in 1993. Washoku Lovers met him at his restaurant @!Restaurant, where he’s working as a sushi chef. Chef Atsushi: I have been cooking since I was 17, so it’s been 28 years now! WL: Were you a chef in Japan? Chef Atsushi: Yes I was, I started in a very small sushi shop. WL: Where did you train to cook “Washoku”? 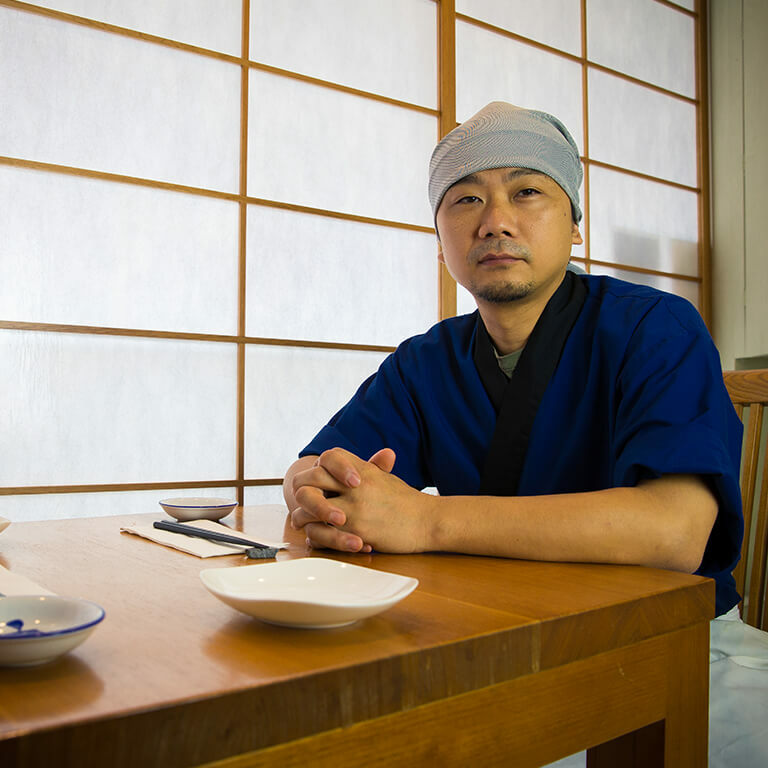 Chef Atsushi: I first started as an apprentice back in Japan, in a tiny sushi shop. When I moved to Australia, I started to learn Washoku in a restaurant called “Gion” in Neutral Bay but it has closed since. Afterwards, I went to work in Yoshii in Darling Harbour, and then to sushi-e. I moved to the Bahamas to work at Nobu Bahamas then to further my training, and now I’m back in Australia. WL: How did you become a chef? Chef Atsushi: Well, I like cooking, but I never thought I’d become a chef. At the beginning, I did that part time, just to earn money, but it grew on me and now it is my full time job! WL: What do you think about cooking Washoku out of Japan? Chef Atsushi: It is really hard to cook Washoku outside of Japan. Other chefs working in other countries do not have to think about so many things. I think the key to cooking Washoku are your ability to source ingredients and your skills. It’s hard to make real Washoku out of Japan because you do not have the same ingredients… Good skills and good spirit are instrumental in producing real Washoku. WL: Do you have a “Washoku signature dish” or a “favourite Washoku dish” you enjoy cooking? Chef Atsushi: I do! I’m a sushi Chef, my favourite Washoku dish is sushi. I would love to make you some, but I’ve realised I haven’t cooked the rice yet, so I’ll make sashimi instead! WL: What do you think about mixing Washoku with other food cultures? 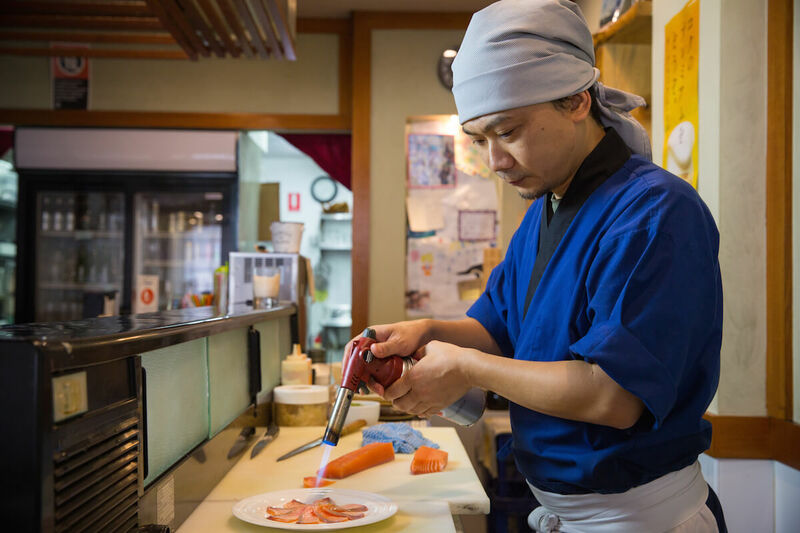 Chef Atsushi: I like the concept, I’m always trying to produce new things as well… But in saying that, it is important to keep the true spirit of Washoku. I believe Washoku can be improved, but on the other hand, I also think it should remain traditional. It’s really hard to know which way’s the right way, and which direction we should choose, but I guess that at the end of the day, I want my customers to be happy. WL: Is there anything funny you’d like to share? Chef Atsushi: When I was working in non-Japanese countries, I had a hard time finding out what the names of the ingredients were in that foreign language. There was that one time I needed frozen scallops to be defrosted, but I had no clue how to say it, and so I explained I wanted something white and round defrosted, but instead of having my scallops, I ended up with a mochi! That’s how similar they are when they’re frozen (laughs). There was a client once that ate a giant chili underneath his tempura, but this was meant to be here for aesthetics purposes! Sometimes, clients think that anything on their plate is edible! WL: I’ve eaten salt underneath an oyster once, and that was in a Japanese restaurant! Now I always ask when I’m unsure (laughs)! So, is there a chef that you most admire? Chef Atsushi: In Australia, I was working with Mr Azuma, and when I was working at Yoshii, I was introduced by Tetsuya’s. Azuma-san and Tetsuya-san are the two chefs I most admire. WL: Do you have any suggestion to Washoku Lovers when they eat Washoku? 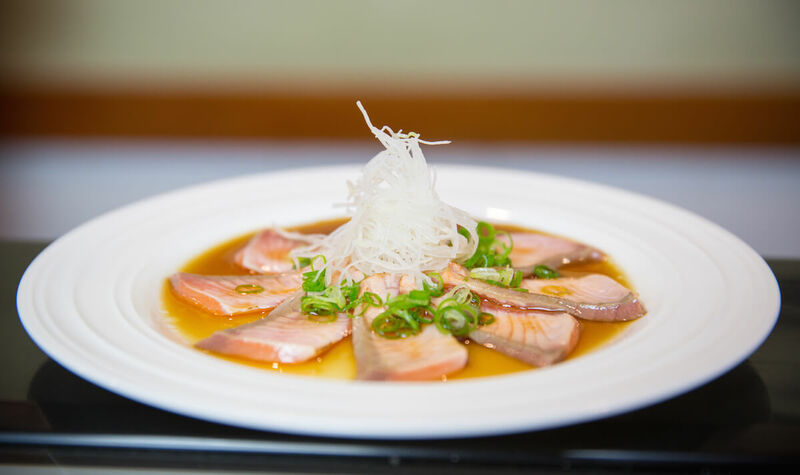 Chef Atsushi: I hope that anyone eating Washoku will be more curious about the Japanese culture, the Chef’s skills, and the thought and care that went into preparing these dishes. WL: Do you have any advice for someone wanting to become a Chef? Chef Atsushi: Think about the cuisine, dishes, ingredients and the customers eating your dishes. You need to be mindful about the customer, care for your customer, focus and concentrate on what you’re doing. I always try my best and I think that anyone who wants to become a chef should always try to do the best they can.